While the weather is continuing to warm up some, we've still had days when it is too cold to go out or air quality is too poor. So, we've had to get creative. 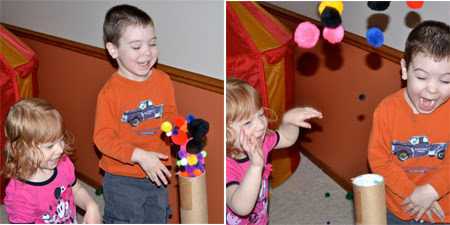 One our favorite indoor games is creating a puff-ball air cannon. 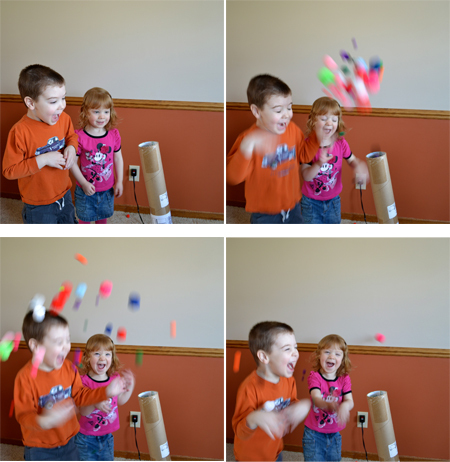 Grab some puff-balls, an old poster tube and a blow dryer. Plug the blow dryer in and place it inside the bottom of the poster tube. 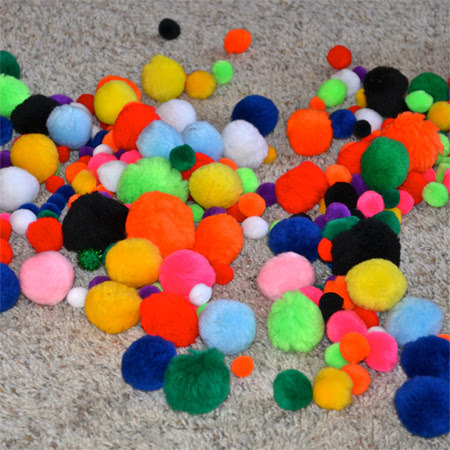 Then load it up with puff-balls (not too many, or they'll get stuck). Turn on the blow dryer (on the coldest setting) and wait for the fun. and over again! Yeah, it's pretty fun. That is a really fun idea. I love it! The expressions on your children's faces are priceless.